The 7,200 square-foot facility places the university’s student health services, counseling and psychological services and disability services in one area for the first time in modern Stevens history. In her remarks, Marybeth Murphy, vice president for enrollment management and student affairs, explained that placing all three support services in one location was the culmination of a years-long effort to create a truly student-centric facility. The new center is housed in the renovated Pond House, a two-story brick building named in honor of Francis Jones Pond, a notable chemistry professor who taught at Stevens in the early 20th century. The new center creates a one-stop wellness center for students, providing health services on the first floor; counseling and psychological services (CAPS) and disability support services on the second floor; and wellness education programs and services in the lower level. The building was modernized to meet current accessibility standards and features a ramp and elevator. In addition, the new space addresses a critical need by the Office of Disability Services to provide a space for proctoring exams for students who need testing accommodations. “Our ability to proctor exams for students has been vastly improved. 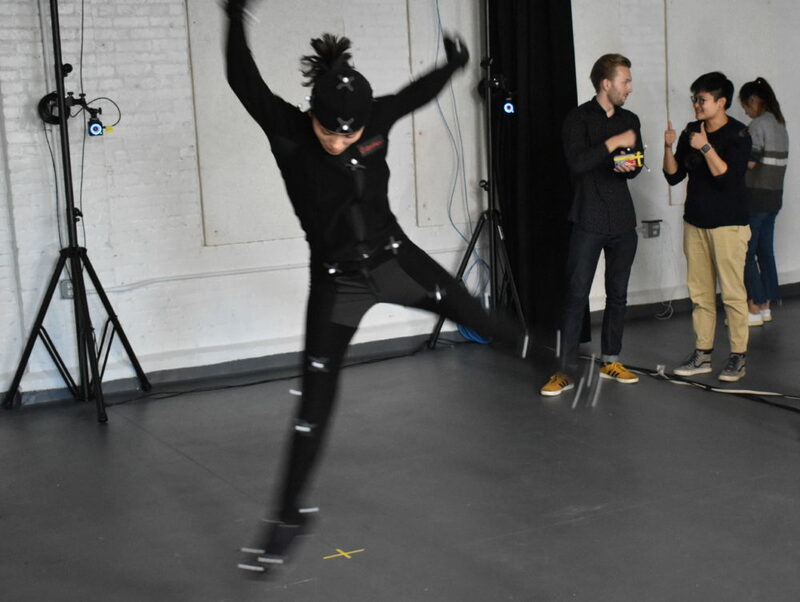 The disability services area includes a dedicated space with divided consoles so that students who need testing accommodations can take exams right in the wellness center,” explained Sara Klein, assistant vice president for student affairs. One of the most significant enhancements is having a dedicated space in which to provide wellness education workshops and training sessions, said Klein. “Besides having a truly modern, updated facility, the newest addition to our wellness offerings in the center is the ability to accommodate a wellness educator, who was hired in November, and a dedicated space where we can offer wellness education and health promotion. That’s something we haven’t had the ability to offer in our prior locations,” she said. Yesterday was the Grand Opening of Stevens Institute of Technology’s Student Wellness Center, where MAD recently completed construction. The design work added an elevator, new stairs, and ADA accessibility to the building in addition to providing clinical exam rooms, counseling rooms, and supplementary administrative facilities. We are very excited to have seen this project come to fruition and wish its users all the best with their new Wellness Center! Pratt Student Union is World-Architects' Building of the Week! 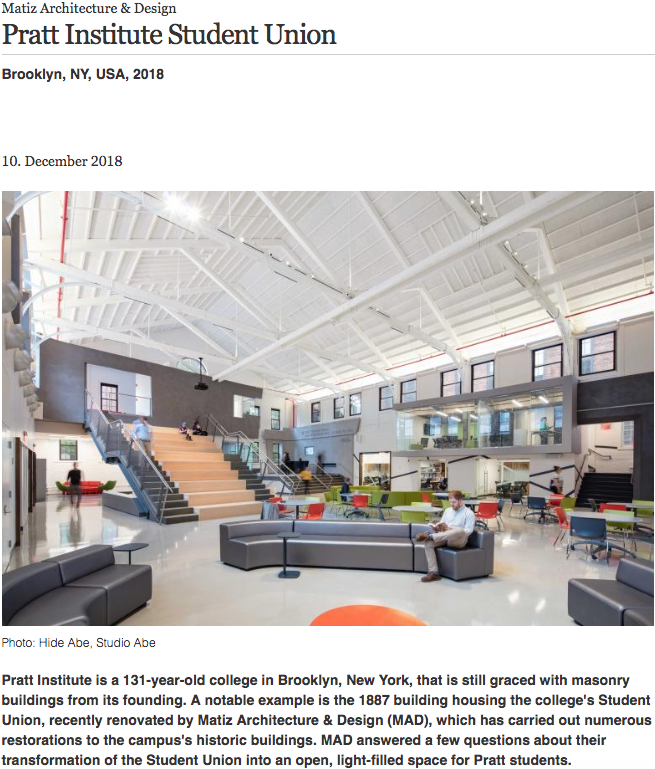 World-Architects has chosen our work at the Pratt Institute Student Union as their Building of the Week! Read the feature here. Continue article on The Bridge BK.